Workers spell out the company's name at one of Foxconn's giant plants. 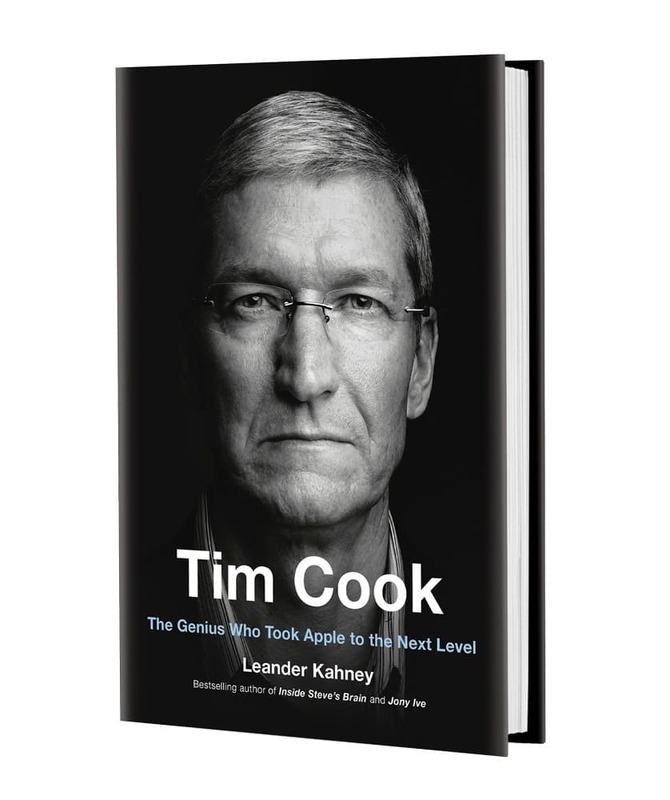 This post was going to be part of my new book, Tim Cook: The Genius Who Took Apple to the Next Level, but was cut for length or continuity. Over the next week or so, we will be publishing several more sections that were cut, focusing mostly on geeky details of Apple’s manufacturing operations. 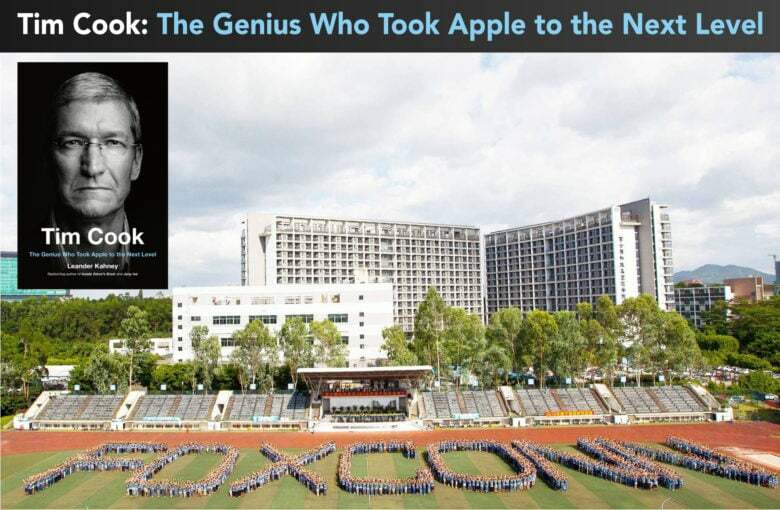 Foxconn was founded around the same time as Apple, although 6,000 miles away on the other side of the world. In 1974, when 19-year-old Steve Jobs was working at Atari, 24-year-old Terry Gou borrowed $7,500 ($37,000 in today’s money) from his mother to start up a business. Gou was born in Banqiao Township, Taipei County. His parents lived on mainland China’s Shanxi Province, before fleeing to Taiwan in 1949, one year before Gou was born. He was the oldest of three brothers, with two younger siblings, Tai-Chiang and Tony, who also went on to become businessmen. Gou’s father was a police officer, and the job evidently paid well enough that Gou was able to get an education up to college level. Instead of pursuing university, however, he attended a vocational school that taught student to be sailors. With three years of vocational training and two more years as a shipping clerk under his belt, Gou decided to strike off on his own and start a business; hoping to grab a piece of Taiwan’s burgeoning export economy. His idea, perhaps not world changing but certainly profitable, was to make the small plastic knobs used to change the channels on black and white television sets. With his $7,500 capital, Gou bought two plastic molding machines and set to work with 10 employees. His first customer was the Chicago-based Admiral TV, and he rapidly managed to convert these initial orders into orders for other companies as well. Early supply deals included RCA, Zenith, and Philips. Gou was tenacious and ambitious. His personal hero was the Mongolian warlord and conqueror Genghis Khan, who united the nomadic tribes of Northeast Asia in the thirteenth century and launch the Mongol invasions that conquered most of Eurasia. As a tribute to Khan, and a personal reminder of his success, Gou wore a beaded bracelet on his right wrist which came from a temple dedicated to Khan. As well as ambitious, however, Gou was also charismatic and likeable, and this combination allowed him to turn his company Hon Hai into a successful contract manufacturer. Gou had a work ethic second to none, and he expected the same level of commitment from those who worked for him. A saying at Foxconn was that the first year was a honeymoon, the second year you worked like a tiger, and the third year you worked like a dog. Employees could get stock options in the growing business, but in order for these to vest they had to work for the company for several years. In a 2002 Bloomberg interview, Gou boasted that he worked 15-hour days, six days a week, and that he hadn’t taken off more than three days for vacation since starting the company in 1974. “You need real discipline,” he said. “A leader shouldn’t sleep more than his people; you should be the first one in, last one out.” Even years later, when he was rich beyond his imagination as a young man, following the notorious suicides at the Foxconn factories, Gou slept in his spartan office in Shenzhen in a makeshift bed on the plain cement floor. He was telling those who worked for him that he was willing to share in their hardship. Although Foxconn is headquartered in New Taipei, Taiwan (in a gritty suburb called Tucheng, which in Mandarin means “Dirt City” ), the place it is most synonymous with is Shenzhen, a major city in Guangdong Province, southeastern China, immediately north of the Hong Kong Special Administrative Region. The rise of Foxconn from successful contract manufacturer to the world’s largest contract electronics manufacturer and single largest employer in mainland China is indelibly linked with the modern story of Shenzhen. No city anywhere in the world is more associated with manufacturing of consumer electronics than Shenzhen. When Foxconn started in the 1970s, Shenzhen was a fishing port outside Hong Kong. Its population was around 300,000, about the same as Cincinnati, Ohio or Pittsburgh, Pennsylvania. Today, it is home to 11.91 million people and produces 90 percent of the world’s consumer electronics gadgets. It is China’s third largest city after Shanghai and Beijing. What transformed Shenzhen from medium-sized port to manufacturing megacity was a 1979 decision by China’s Communist Party leader Deng Xiaoping to designate the city the country’s first Special Economic Zone, opening it up to capitalism and foreign investment to fuel growth and development. Part of an economic overhaul, China’s Special Economic Zones differed from the rest of the country because they acted relatively independently, compared to trade elsewhere in China, which was tightly controlled by the nation’s centralized government. The Special Economic Zones promised low-cost labor, cheap land, access to ports and airports for easy exporting of products, reduced corporate income tax, and other tax exemptions. As planned, they helped to transform China’s economy. Foxconn was by no means the only company to move to Shenzhen to capitalize on this new haven of capitalism, but it was certainly one of the chief beneficiaries. In 1988, it opened its first offshore factory in Shenzhen. It employed a comparatively small workforce of 150 migrant workers from the countryside in Guangdong province. Around 100 of these employees were women. Despite its tiny size compared to Foxconn’s Shenzhen twenty-first century factory (at its height, Foxconn’s sprawling 1.4 square-mile flagship plant, just outside Shenzhen, employed around 450,000 workers ), the Shenzhen factory nonetheless set out a format that has continued: combining both factory floor and dormitory-based living accommodation for its workers. In some ways, Shenzhen was a dream for Foxconn, but it still represented a risk. A lot of Taiwanese companies didn’t dare to expand into China. As the labor market in Taiwan tightened and wages were driven up during the 1980s, many local manufacturers moved instead to Malaysia, Thailand and the Philippines. China’s relative lack of infrastructure and unpredictable communist government served as a deterrent to Taiwanese companies who might otherwise go there. Politically, the situation between China and Taiwan was complex. Beijing viewed Taiwan as a province that should be reintegrated back into the official mainland — even if this involved force. Nonetheless, Gou persevered. During the 1990s, Foxconn underwent explosive expansion. Shenzhen attracted large numbers of arrivals from around China, excited by the plentiful work opportunities and chance to learn a trade in a fast-growing sector like consumer electronics. Foxconn was able to take advantage of this massive influx of cheap labor and grow massively. For the first time, the sheer number of employees Foxconn was taking on meant that it hired Chinese employees to carry out mid-level management jobs: something previously limited only to Taiwanese nationals. It also diversified its manufacturing production lines and the specialization of its labor force. By the early 2000s, Foxconn was a giant. Through a series of mergers and acquisitions and the expansion of its factories all across China, it was among the leading manufacturers in the country. In 2001, Hon Hai became Taiwan’s largest private-sector company in terms of sales, with sales rising 55 percent to $4.5 billion, while profits rose 26 percent to $382 million. That year, switched its manufacture of Intel-branded motherboards from Asus over to Foxconn. In 2002, Bloomberg hailed Gou as the “king of outsourcing.” In November 2007, Foxconn announced plans to build a new $500 million plant in Huizhou, Southern China. The following December, 2008, Foxconn’s global sale revenues reached $61.8 billion, which was even higher than two of its highest-profile clients, Dell and Nokia. The aftermath of the 2008 global financial crisis, which saw a return on the part of consumer demand for consumer electronics products, saw Foxconn’s fortunes improve. In the 2011 Global 500 listing of the world’s biggest corporations, published on July 25, 2011, Foxconn leaped to 60th position, from its previous 112th place. Right from the start, one of Terry Gou’s strokes of genius has been his push toward vertical integration, meaning one firm combining two or more stages of production normally operated by separate companies. In this way, it is similar to Apple. Apple has long championed a vertical model by controlling both hardware and software on as many levels as possible. For example, the iPhone runs iOS software designed by Apple, which is optimized through the mobile processors that run it, which Apple also designs. “Despite the benefits of specialization, it can make sense to have everything under one roof,” Wharton management professor David Hsu has said. Foxconn’s ability to produce products quickly and flexibly has helped it steal smartphone orders from Chinese manufacturers ZTE (Zhongxing Telecommunication Equipment Corporation) and Huawei Technologies. It has also competed for desktop, laptop and tablet orders with specialized Taiwanese manufacturers including Quanta Computer, Compal Electronics, and Wistron. In addition, it pushes to enter new markets constantly. Its flexibility, cutting edge technology and wide product portfolio has allowed it to win orders from brands including Samsung Electronics, Hewlett- Packard (HP), Sony, Apple, Microsoft, Dell, and Nokia. Foxconn’s factories are almost unimaginable in scale to many in the West. They are enormous complexes, complete with sleeping quarters, restaurants, hospitals, supermarkets and swimming pools packed into, in the case of Foxconn’s Shenzhen factory, a 2.3 square kilometer space. They are more like factory towns or, as CNN once described it, a “heavily secure” university campus. The university analogy may sound more pleasant than the reality of working in a giant factory actually is, but it’s not incorrect. Foxconn’s factories are typically staffed — at least on the factory floor — of 18 to 25 year olds from rural parts of China. Many are away from their home villages, friends and family for the first time. They sleep together in large dormitories, eat meals together in the Foxconn cafeteria, and work alongside one another on the production line. There are even mass entertainments put on by management from time to time. Despite this, leisure facilities are generally inadequate for the scale of the factories. One CNN report noted that, for a staff of more than 300,000 at its Shenzhen factory, there were just five swimming pools and 400 computers available for leisure use. In the early days, Foxconn was inefficient and poorly organized. Nothing was optimized or designed for maximum productivity. Products were made in batches, which oftentimes lead to delays when parts ran short or if certain assembly operations took longer than others. Workers performed several assembly operations and collecting parts themselves if they ran low at their stations. It was less like an efficient factory, and more like a cottage industry. An American, O’Very was initially hired to be the face of Foxconn to its American clients, particularly Dell, which was one of it’s biggest customers at the time. O’Very was a trained industrial engineer, and helped the plant’s production lines become more efficient. He had studied the works of W. Edwards Demming, the manufacturing efficiency guru. To his surprise, the Foxconn managers talked a lot about Henry Ford. Foxconn’s assembly lines were laid out much like Fords’ Model T assembly lines, which had become obsolete almost seventy years before. He was surprised. As an organization, Foxconn seemed completely ignorant of several decades of modern manufacturing theory and practice. But in in the six years he was there, Foxconn leaned very quickly how to adopt modern factory practices and make their operations more efficient, O’Very said. In just a few years, Foxconn’s managers learned and applied the theory of continuous flow manufacturing, which aims to keep the production process continually flowing. Sometimes called repetitive-flow manufacturing, there is no waiting for assembly operations to be performed or parts to be delivered to shop-floor workstations. The products move down the line is a continuous flow, making it very fast and efficient. It’s harder to achieve than it sounds, and requires the study and optimization of every step of the production process. The entire operation has to be tightly integrated, and any potential delays ironed out. “In six years they went a Henry Ford kind of model T production line — like Charlie Chaplin — to something much more efficient,” O’Very said. The work culture at Foxconn was very demanding. Foxconn had a very militaristic culture. Orders were given form the top and expected to be followed to the letter. There was no tolerance for mistakes or inefficiency. The hours were long and punishing. Shifts were typically 12-to-14 hours long. Sometimes, O’Very would start work at 6am and work all the way through the day until 10PM at night. The new recruits were marched into the factory and told to stand behind workers on the production lines. They stood there for two days watching the workers perform their tasks. After two days, the new recruits took the place of the workers they had been shadowing, who in turn, were moved to a different part of the factory. There, the workers spent a couple of days patiently watching other workers that they would soon be replacing. The tasks on the production line were usually mind-numbingly specific. Workers would often be required to insert and tighten one or two tiny screws, before passing it to the next worker, who would inset and tighten a different tiny screw. The products would be assembled one tiny screw at a time as it passed down a long line of workers working quickly and efficiently. There was no tolerance for mistakes or slip-ups. If a worker made a mistake, they would be reprimanded publicly in front of the other workers. If the worker made the same mistake twice, they would be fired. Life was tough for the line workers, but in many ways was even tougher for the managers. O’Very frequently saw managers getting reprimanded for mistakes made on the line or if the line fell short on its quotas. The managers wouldn’t be reprimanded in front of the line workers, but in front of the other managers at daily production meetings. One of O’Very’s colleagues, who had worked for Foxconn for 25 years, was suspended for a week when his team failed to meet their quota. There had been a delay in the delivery of some parts and his part of the operation got a late start. He was suspended for a week without pay. His position was taken by a deputy – the “guy who watched him do his job,” in O’Very’s words. “They had the lines of succession set up. You mess up, they have the next guy waiting.” The reprimanded manager was only allowed to return because of his long history at the company, and an almost spotless work record. The VP was fired because he didn’t have a plan. Gau then turned to the vice president’s boss and said he should be ashamed because he didn’t prepare him. After six years, including a stint working for Foxconn in the United States, O’Very quit, mostly because of the lack of promotion opportunities and the harsh work culture. The hours and workload aren’t much better for Apple’s workers either. Gautam Baksi, a former Apple product design engineer, said the constant traveling to China and the long hours at the factory caused him to eventually quit. “I spent an enormous amount of time in China along the way. You spend enormous amount of time with people along the way, night after night on a product. You get to know a lot of stuff. Foxconn is secretive, but in a way that’s very different to Apple. Terry Gou knows that his clients don’t want the world to know where their iPhones or Dell PCs or Sony PlayStations are made, and does his best to stay low profile, despite Foxconn’s enormous footprint. This meant that, when it suddenly became a globally recognized name in 2010, it wasn’t ready. The incident that caused its rude arrival in the spotlight was a series of suicides at Foxconn’s factories. Terry Gou’s initial attitude to the suicides was not one that found favor, particularly among members of the press in the West. His own attitude to a work-life balance was not entirely, well, balanced. Gou’s mantras included sayings like, “work itself is a type of joy,” “a harsh environment is a good thing,” and “hungry people have especially clear minds.” He also failed to take into consideration the mental impact that it might cause to many workers, coming from small communities to work in giant factory complex — often under very strict conditions. Rules in place were designed to forbid managers from treating their underlings harshly, but there were nonetheless complaints that this was not followed. “I should be honest with you,” Gou told one reporter, concerning the suicides. “The first one, second one, and third one, I did not see this as a serious problem. We had around 800,000 employees, and here [in Longhua] we are about 2.1 square kilometers. At the moment, I’m feeling guilty. But at that moment, I didn’t think I should be taking full responsibility.” After the fifth suicide, he said that, “I decided to do something different.” However, it was not until the ninth Foxconn employee had leaped to his death, that Foxconn took the step of erecting more than 3 million square meters of yellow-mesh netting around its buildings to catch jumpers. It also increased wages for the factory workers in Shenzhen by 30 percent to 1,200 renminbi ($176) per month, and promised a second raise six months later. It also set up a 24-hour counselling center staffed by 100 trained workers and opened a special stress room where workers could dish out their frustrations on mannequins using baseball bats. The firm also hired the New York PR firm Burson-Marsteller to help devise its first ever formal public-relations strategy. Such a thing had never been required before. “We’re asking ourselves the same question [about suicides],” said company spokesman, Liu Kun. “Foxconn has never seen anything like this before in the past 20 years of operating on the mainland. We’ve checked the work records and couldn’t find any direct link between the working conditions and the suicides.” A few people pointed out that the number of suicides was actually below China’s average rate of 14 per 100,000, according to the World Health Organization. However, this attitude did little to quell concern. Steve Jobs was probably the wrong person to speak up on the subject. Jobs himself was not adverse to promoting a tough work environment. When he defended Foxconn shortly after the suicide news was reported, he said its factories were actually “pretty nice” and defended it as, “not a sweatshop.” The line which came over worst, however, was his comment that, “We’re all over this,” which struck many people as uncaring. It also transpired that Sun Dan-yong, a 25 year old who died in July 2009 after throwing himself from an apartment building, did so after losing an iPhone prototype in his possession. Prior to death, he claimed he was beaten and his residence searched by Foxconn employees. Nonetheless, Apple did make changes. After the suicide reports, it organized a task force to deal with the situation, and put measures into place to try and prevent the same thing from happening. In the years since, Apple has worked to improve its supply chain, although it has still received occasional criticism from labor rights activists and other organizations.